When a Photographer Forgets to Print Her Own Photos.... Or, happy second anniversary! I debated for awhile on the title of this post. 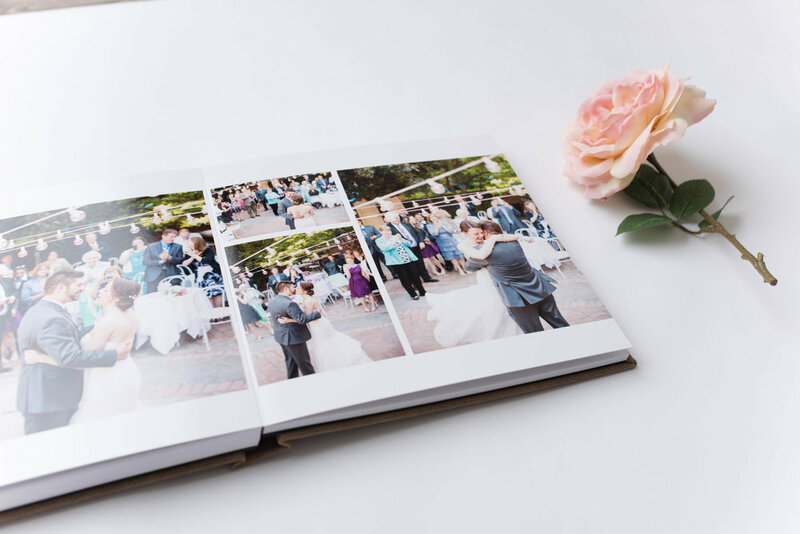 I wasn't sure if I should make it more about celebrating our second wedding anniversary, or keep it photography-related and tell you how it took me almost TWO YEARS to design & print our wedding album. So I chose to do both. You see, I'm just like you and every other person who has countless files of digital images from their own lives. Tiny JPEGs sitting in a folder on their hard drive, rarely seen and never enjoyed. And just like you, I had no time to print them. But wait, you're a photographer! Your job is to print photos! That's true. 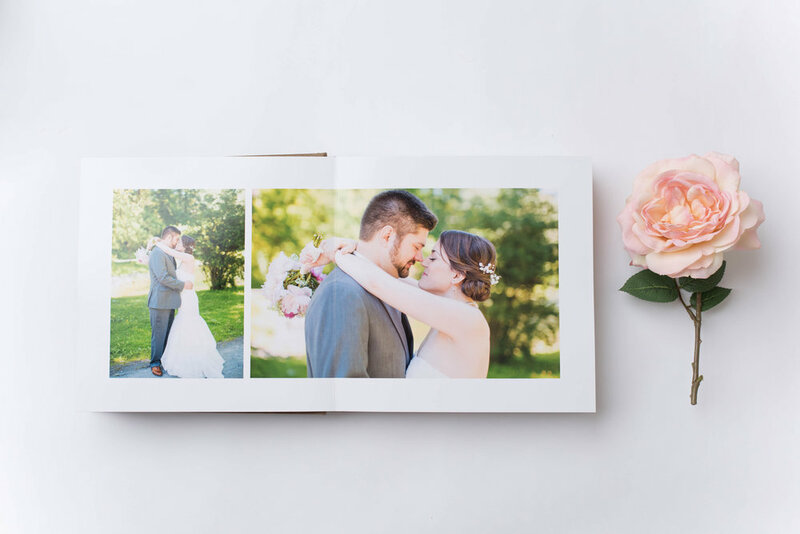 I spend my weeks designing albums for other families, ordering boxes & boxes of prints from my photo lab, wrapping up custom birth announcements, and receiving more photo shipments in the mail than I can possibly count. The UPS guy knows me by name, and I recognize the sound of the delivery truck pulling into my driveway like a dog recognizes their owner's car coming down the street. 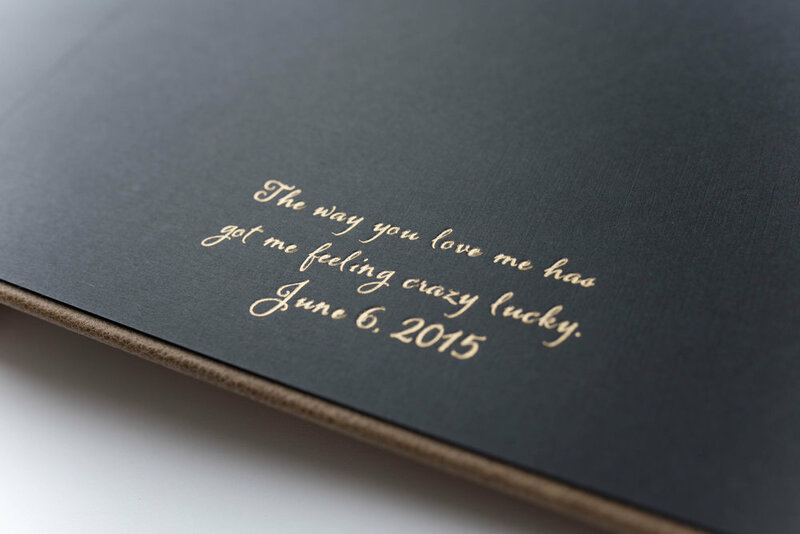 Yet it took me more than a year and a half to finally sit down and design our wedding album after our perfect wedding day in 2015. Why? Time. Indecision. Distractions. Procrastination. Not wanting to begin the task of narrowing down the hundreds and hundreds of photos in our gallery to choose a few favorites to feature in our album. 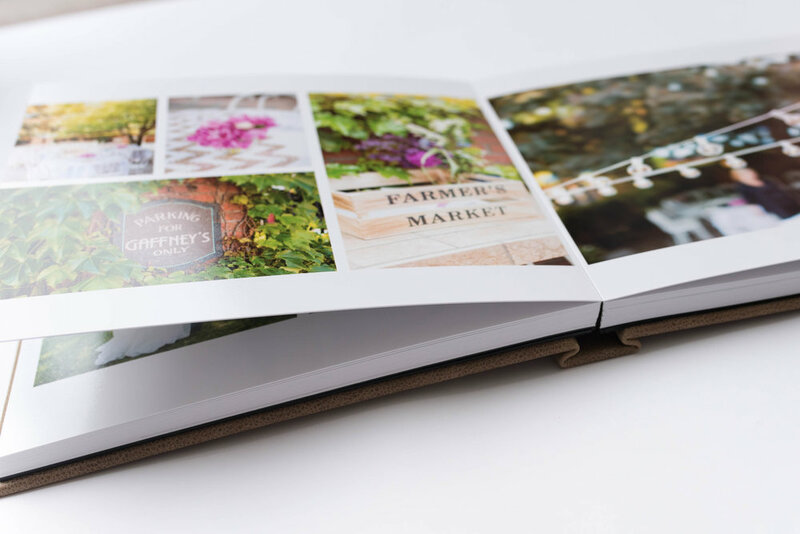 You know, all the same reasons it takes you forever to print your own photos, right? But I finally did it. And now we have a leather-bound keepsake of our beautiful day surrounded by our closest family & friends on a brick patio with twinkly lights and rustling leaves overhead. 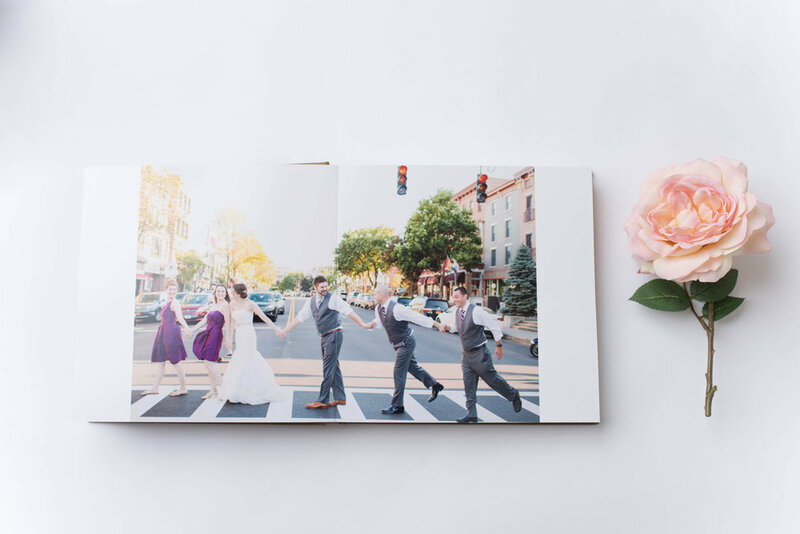 It is so perfect, and as Jeff & I celebrate our second wedding anniversary today, you can bet we'll be flipping through the pages of our wedding album to relive the day we said "I do." A huge thank you to Hope Taylor Photography for capturing our day so beautifully. P.S. 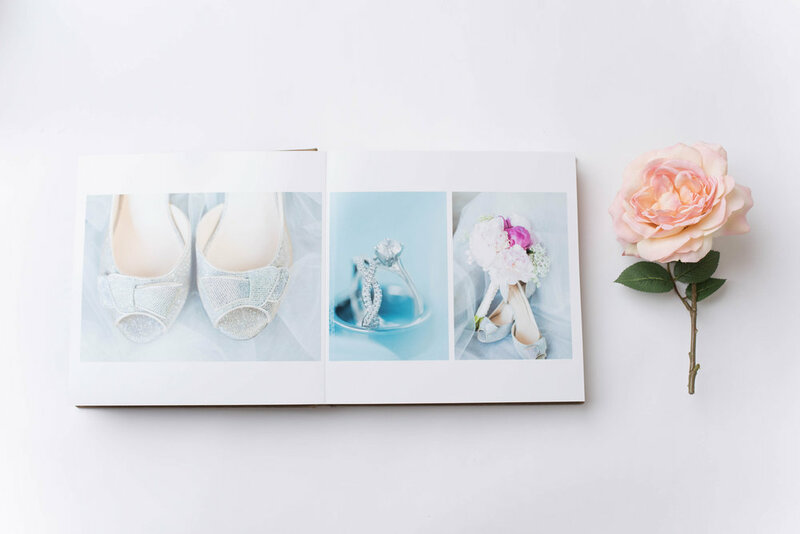 I know you didn't offer albums to your clients two years ago, but I'm so happy that you do now because this is definitely a task that all newlyweds should leave to their photographer so that they can enjoy their heirloom albums right away!